Home/car news, motorshow blogs/THE ASTON MARTIN AM-RB 003. 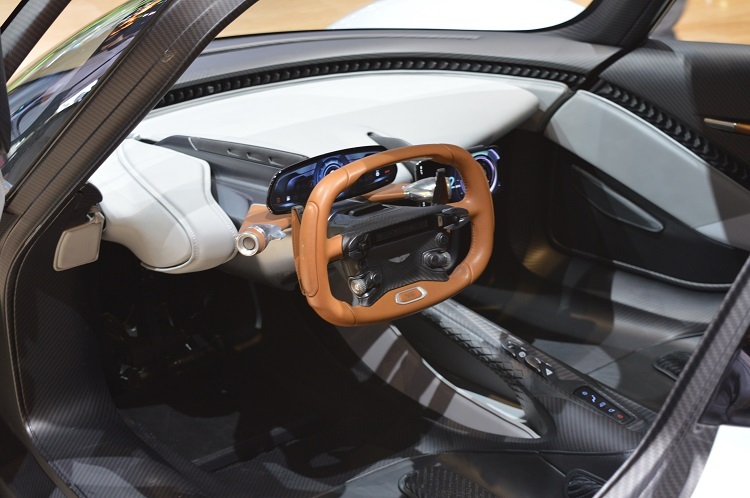 GENEVA MOTOR SHOW 2019. New car news. This is the new Aston Martin concept car. The concept car will use a mid-engine hybrid turbo V6 engine. It has a lightweight carbon fibre structure with carbon fibre bodywork. There’s a serious amount of focus on its chassis and aerodynamics. Inside, Aston Martin are showcasing a new cockpit design called “Apex Ergonomic”. This relies on the alignment of the drivers back centreline, the steering wheel and the pedals. Check out its screen mounted display on the steering column. Said Miles Nurnberger, Aston Martin Director of Design. 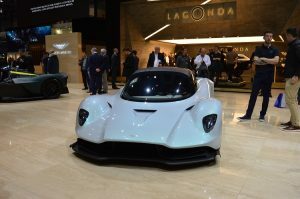 “When Aston Martin secured the services of Red Bull Advanced Technologies to embark on the extraordinary journey that became Aston Martin Valkyrie and Aston Martin Valkyrie AMR Pro, it was always my hope that it would lead to a long-term collaboration. As these projects enter an incredibly exciting phase with the commissioning of the first running development prototypes, it gives me tremendous satisfaction to confirm that this exceptional partnership is continuing with the AM-RB 003 – a hypercar that not only draws from the ethos and DNA of Aston Martin Valkyrie, but will in turn influence Aston Martin’s first series production mid-engined supercar”. Andy Palmer, Aston Martin Lagonda President & Group CEO. 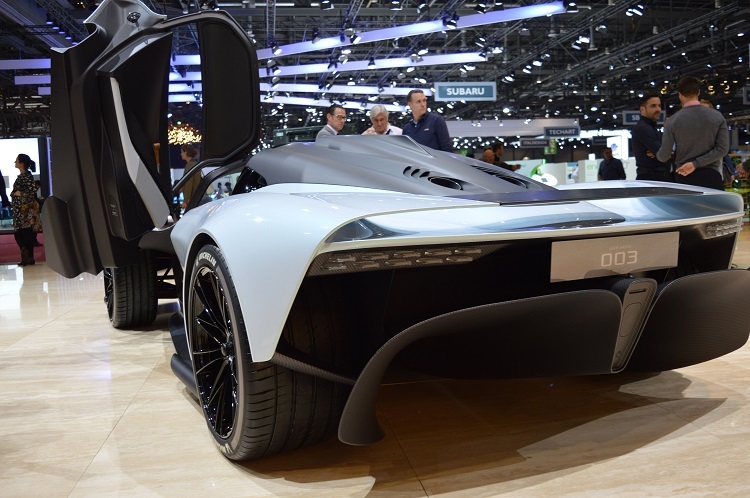 Click on the picture above for a short video walk around the Aston Martin AM-RB 003 concept car.